A bi-weekly newspaper which went into administration following a management buy-out last year has been sold to a new owner. The South London Press was part of Tindle Newspapers until being taken over by Capital Media Ltd, a management team headed by Philip Evans, who also ran the ‘View From’ series of titles in Dorset. The company went into administration earlier this year – but the SLP has now been sold to a new owner, Romford-based leaflet distribution firm Street Runners Ltd, after being placed in the hands of a group of corporate recovery specialists. The same firm, Quantuma, was responsible for brokering the sale of the ‘View From’ titles to Sunday Independent owner Peter Masters, as reported on HoldtheFrontPage on Friday. Quantuma says the two deals taken together have resulted in most of the 59 jobs at Capital Media Ltd being saved – but some parts of the business are still up for sale. They include the London Weekly News series of historic titles revived by Tindle Newspapers in November 2014 – the Kensington & Chelsea News, Westminster & Pimlico News, Fulham Chronicle, Hammersmith Chronicle and Shepherd’s Bush Chronicle. The Westminster & Pimlico News, first established in 1857, ceased publication in April, but is now being offered for sale as part of the LWN portfolio. The sale process is being overseen by Quantuma partner Chris Newell, who was appointed administrator last Friday. He said: “I am pleased to report that we have been able to achieve two separate sales to third parties which has resulted in the majority of jobs being saved. Capital Media Ltd was formed in January 2016 by Tindle executives Mr Evans, Karen Sheppard and Hannah Walker, who each owned a 30pc share in the company, with Tindle founder Sir Ray Tindle owning 10pc. Sir Ray, 90, announced yesterday that he is handing over the chairmanship of his newspaper group to his son, Owen Tindle. The SLP deal also includes the Greenwich Mercury, which was also part of Capital Media Ltd.
New owners Street Runners are based on an industrial estate at Hainault, Essex and specialise in distributing leaflets, newspapers and magazines within London and the Home Counties. 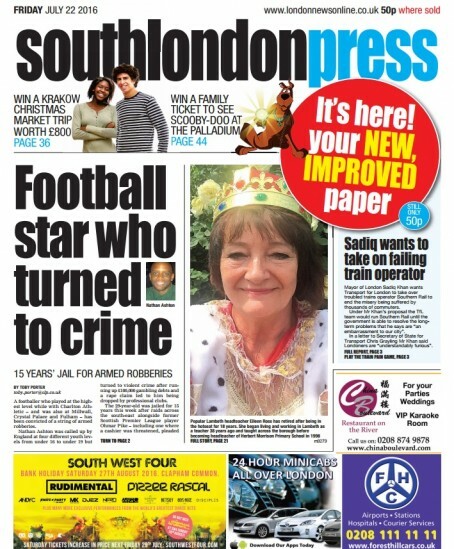 It looks as though the new owners are probably a recently-formed company – South London Press Media Ltd, rather than Street Runners Ltd.